“Everybody’s like, ‘Who’s the Asian dude over there?’ I just start laughing. I said, ‘That’s my boy, Lin,’” Barkley told Shirley Wang. Former NBA star Charles Barkley met Lin Wang in Sacramento, California, at a hotel bar four years ago and that chance meeting led to a friendship that was as enduring as it was unexpected, according to Wang's daughter Shirley. Wang, a cat litter scientist and a basketball fan, initially walked up to Barkley to say hello and get a photo, but the meet-and-greet evolved into a conversation, which then carried over to a two-hour dinner before returning to the bar for hours more of talk, Shirley Wang recounted in her story "My Dad's Friendship With Charles Barkley." The moving account of Lin Wang and Barkley's friendship was featured Friday in "Only A Game," an NPR sports podcast produced by WBUR in Boston. Shirley Wang, a freelance journalist, wrote that the pair saw each other for three nights at the same hotel bar after they first met and would hang out for years afterward, whenever Wang and Barkley were both in Atlanta, New York or Phoenix. She described her father as a quirky suburban dad who wore striped red polo shirts and would get excited about discounts. The differences in the lives and personalities of her dad and the sports star are what made the unusual friendship hard to believe at first, she wrote. 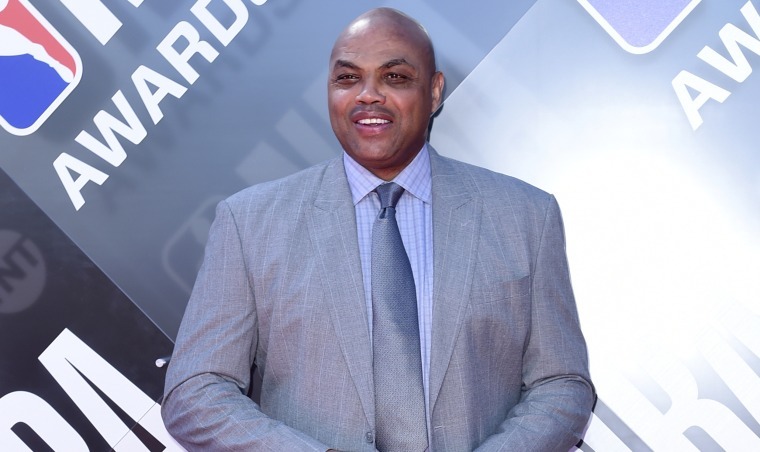 "Back home, my dad's coworkers would tease him about Barkley and ask him about the story all the time," Wang wrote. "My dad didn’t mind that they didn’t believe him. He even made a slideshow of photos of him and Barkley together for our community’s Chinese New Year celebration — totally irrelevant to the holiday." In 2015, when Lin Wang attended the funeral of Barkley's mother, Barkley’s friends also “couldn’t quite place [Wang]. He wasn’t a basketball player, he wasn’t a sports figure, and he wasn’t from Barkley’s hometown,” she added. “Everybody’s like, ‘Who’s the Asian dude over there?’ I just start laughing. I said, ‘That’s my boy, Lin,’” Barkley told her in the broadcast segment. Paradise High’s basketball team lost everything. Now they’re winning for their town. After her father was diagnosed with heart cancer in 2016, Wang said she spent a lot of time with him, watching movies, basketball games — and Barkley's TNT show, "Inside the NBA." When Barkley found out about Lin Wang’s cancer, he got upset with his friend for not telling him. Although he didn't tell his friend about his cancer, Wang said that her dad "watched him almost every night on TNT. And while he rested and healed, my dad was laughing along with Barkley. He kept my dad company." Barkley attended Lin Wang's funeral in June, held near the outskirts of Iowa City. "I'm so blessed to know him as a person," Barkley said in his eulogy of his friend. In his conversations with Shirley Wang, the former basketball player spoke about how much he treasured his friendship with Lin Wang: “It gives me great memories and joy to know that I was a friend of his."